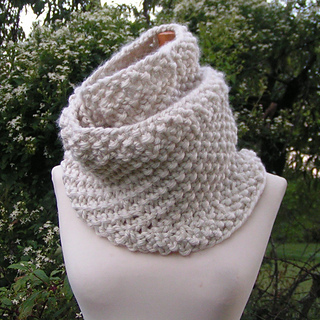 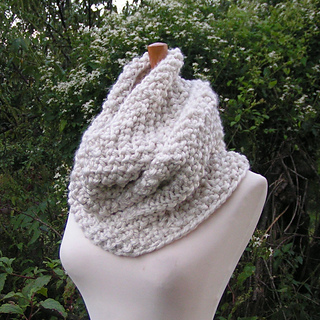 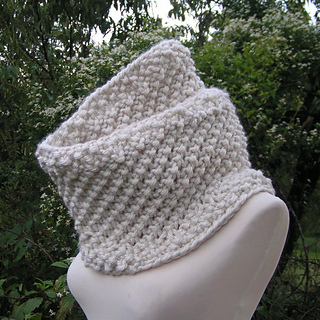 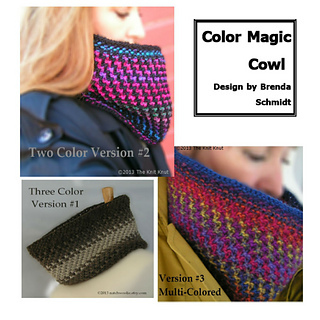 These unisex cowls magically transform into beautiful multi-colored pieces of art. 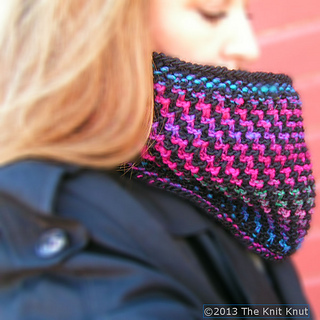 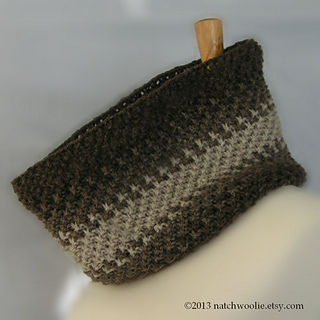 Included are a Three Color Version, a Two Color Version and a Multi-Colored version - because of the interesting texture, it also knits up beautifully in one solid or two, so there are hundreds of possibilities with this pattern. 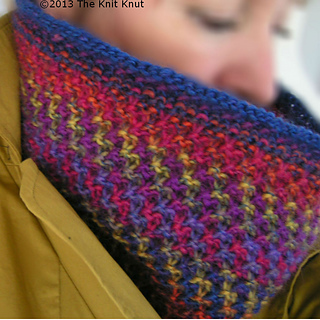 If using Poems, it will require 2 skeins and #8 circulars, if using the Noro and Lamb’s Pride or the 3 color version (or other regular worsted yarn) you will need one skein of each color and #9 circulars.